It’s finally time to sit down and share some photographs. These start in the hot days of August this year. Our tent at the Incident Command Post near Redding. 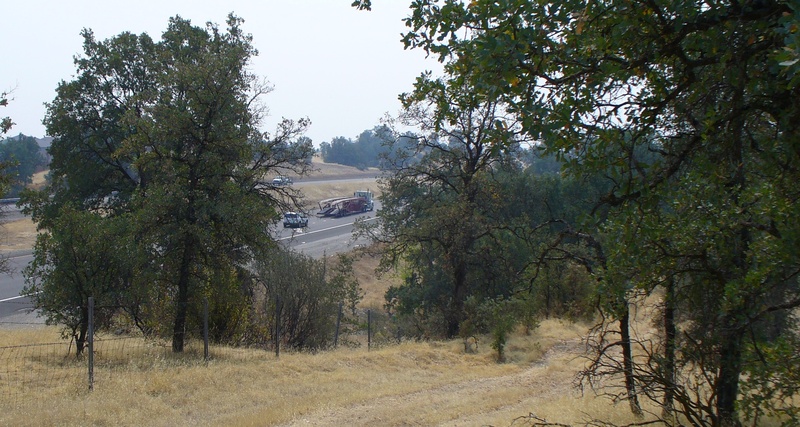 Open land near freeway in Redding. This is the same type of ecosystem that was being burned in the fires. Grass under scrub oak. 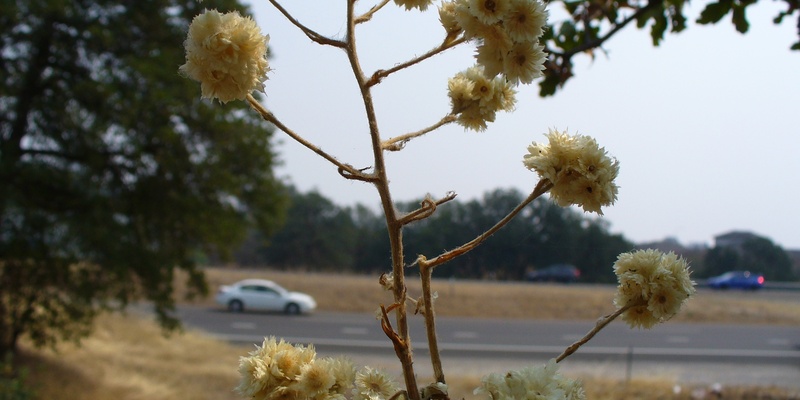 Naturally dried asters in Redding. Dove on a wire near the Orland ICP, near Redding. Smoke masks for handout in Redding. By the following month I was back at another disaster site, this time in North Carolina. 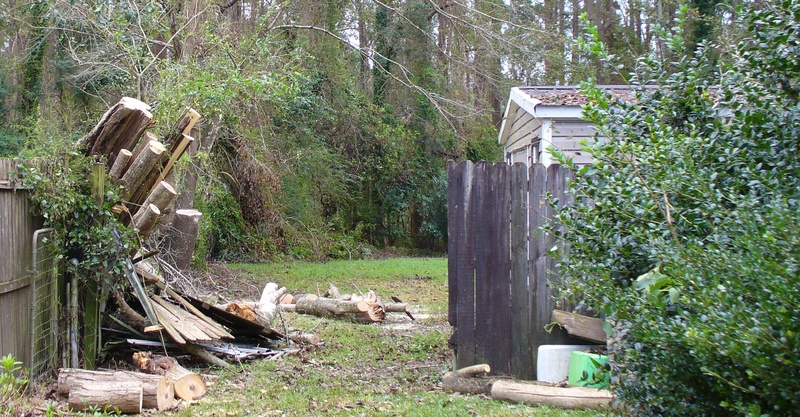 Storm damage removal site near Jacksonville, North Carolina. 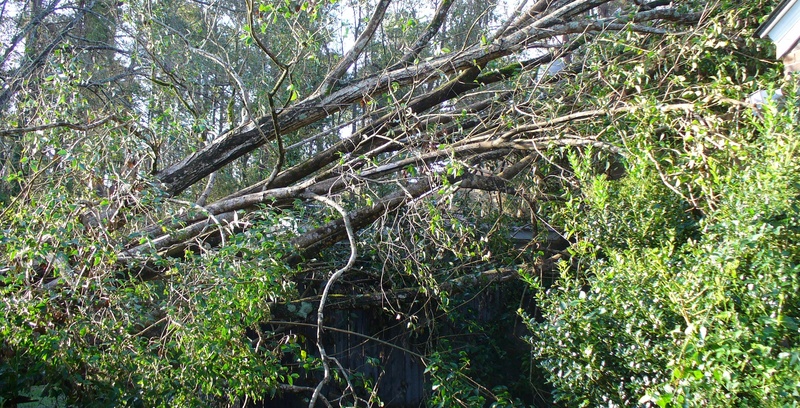 Example of storm damage before the removal process. Example of what is left behind. 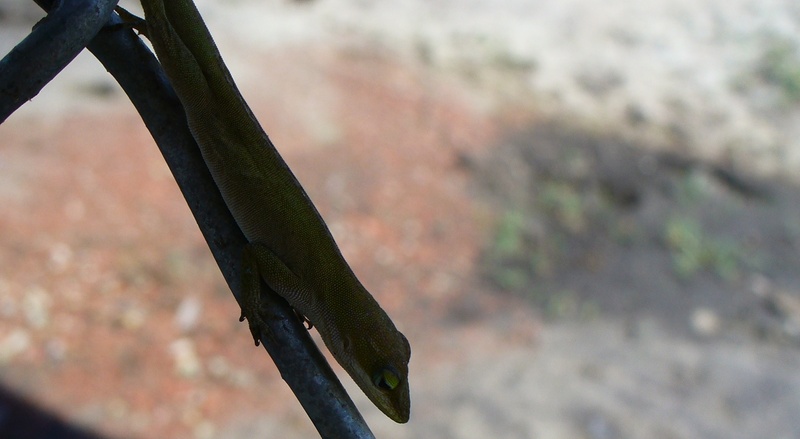 Small lizard comes out to watch us at a park near the shore. Toy loader at one of our work sites. Clearing storm damage from a back yard. Work party at a church that suffered water damage. Our setup at Boiling Spring Lakes, 6 October. 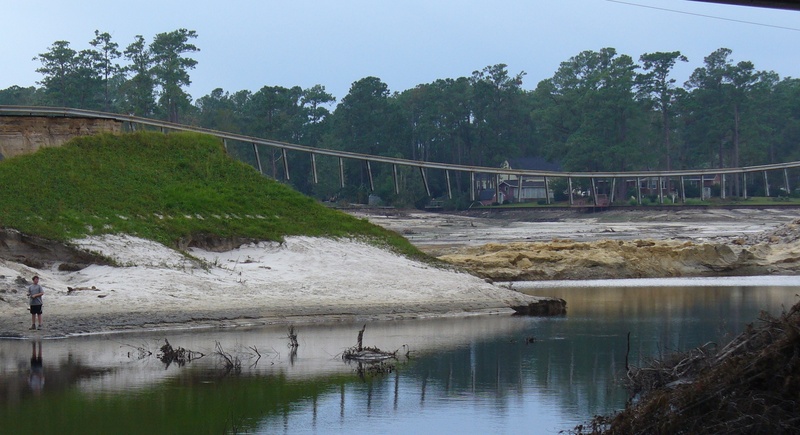 Washed out levee (dam) at Boiling Spring Lakes. This was an earthen structure constructed like a levee but functioning as a dam. The steel side rail to the road that used to run across the top of the dam can be seen hanging in midair. Behind, the lake that this dam used to create has completely emptied. The water drained into an area that is mostly a nature preserve, but did flood some houses. Our hygiene kit handout team on 7 October. We worked into the sunset at this site. Then Hurricane Michael hit the Florida panhandle, so we went there to see how we could help. Scene at a rest stop on our way to Florida, 12 October. 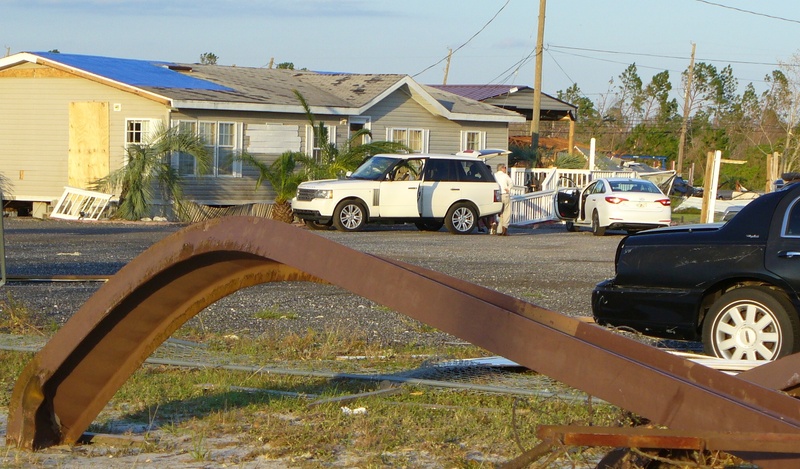 Storm damage in Panama City, Florida. This beam used to hold up a billboard. I didn’t stay very long in Florida. We still have a team working there. 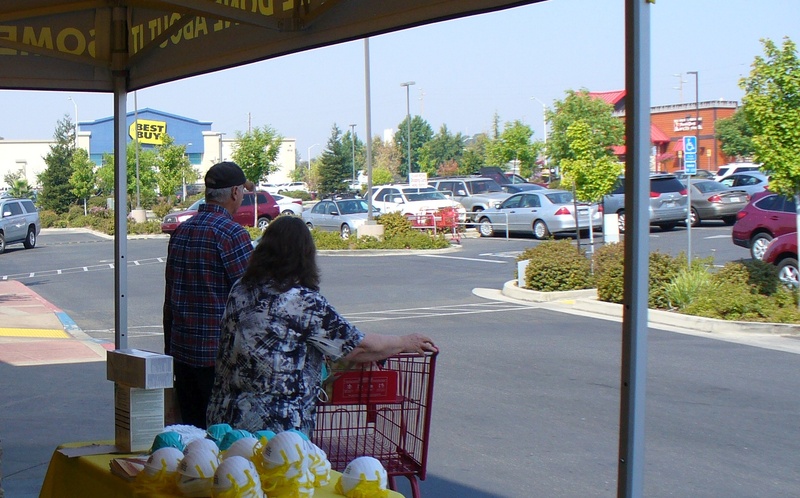 When I returned I decided to take my bike on the light rail north towards Folsom, do my grocery shopping at the Winco there, then ride back home through the American River Parkway. These photos are from the second week I made that trip. 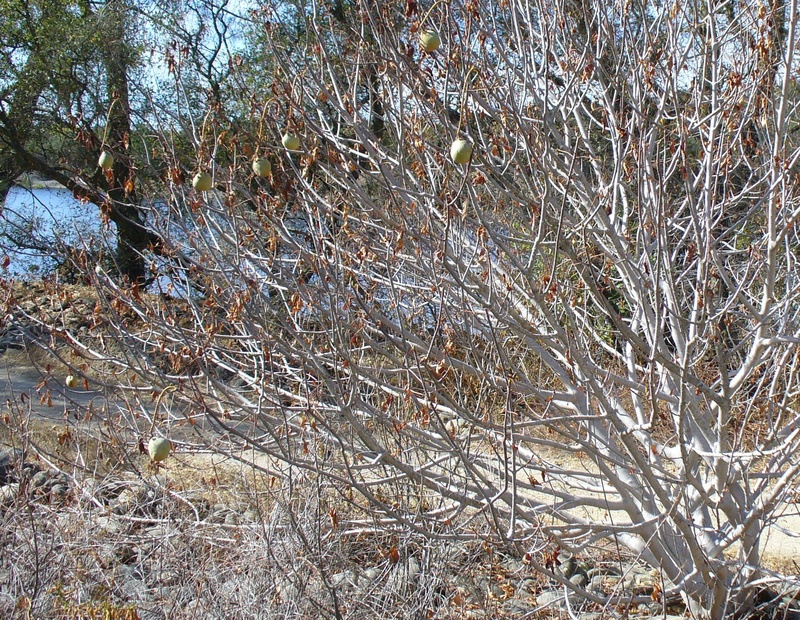 A mysterious tree near Folsom, American River Parkway. 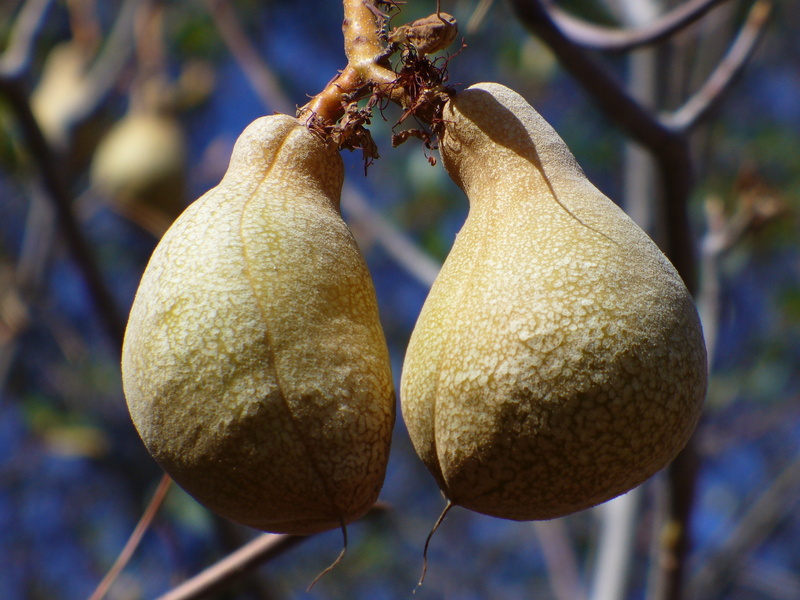 The buckeye produces a large nut which is unfortunately inedible. View from bike trail where the American River flows into the Sacramento. 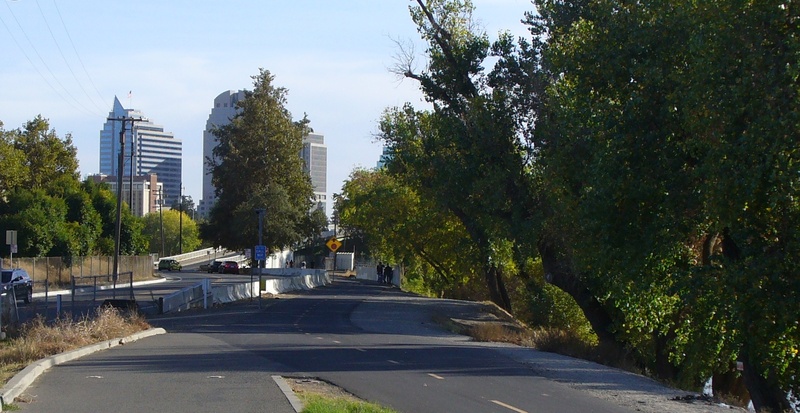 Trail / walkway between the American River Parkway and downtown Sacramento is squeezed in between roads and the river bank. 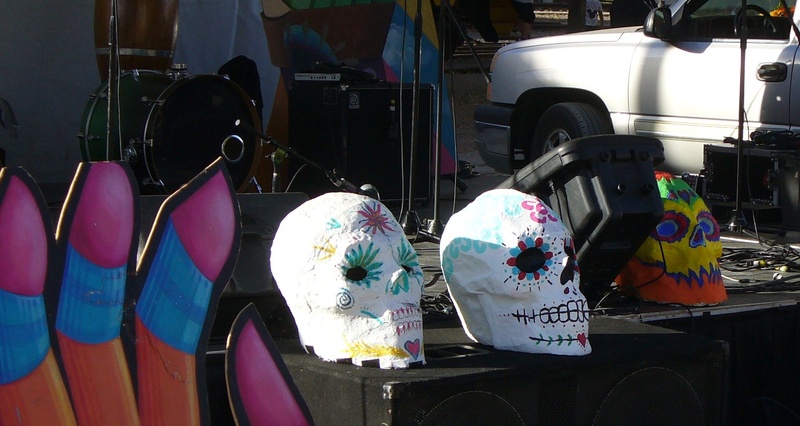 Stage decorations at a Dia De Los Muertos celebration in Old Sacramento (3 November). A winter-season ice rink adds some enjoyment to downtown life.